If you have not yet read the preceding post, get it here. These two strange statements both point to a significant incident recorded in the book of Genesis. Jacob was at first a deceitful man who tricked his brother Esau out of his birth-right by deceiving their father. As a result he was on the run fearing for his life. He arrived at a place called Luz and camped there for the night, sleeping with his head on a rock he found there. Genesis 28:10-17 records the remarkable dream experience he had in that place. He saw a ladder spanning earth and heaven with the angels of God ascending and descending on it. Standing right there beside him was the Lord who introduced himself with the words, “I am the Lord, the God of your father Abraham and the God of Isaac.” How we know that no one can see the face of God the Father and live (Exodus 33:20) but we also know that Jesus is the face of God that we can behold and find life (John 6:46). This then is the pre-incarnate Lord Jesus Christ standing next to Jacob, and this was the scene to which Jesus was pointing Nathanial, and us. I say ‘us’ because, significantly, the word ‘you’ that Jesus uses twice in John 1:51 is in the plural and not the singular tense. First Jesus addresses Nathanael as an Israelite in whom there is nothing false – an allusion to the deceitful Jacob whose name was later changed to ‘Israel’, and then he points us to the story of his encounter with Jacob at Luz all those many years ago. 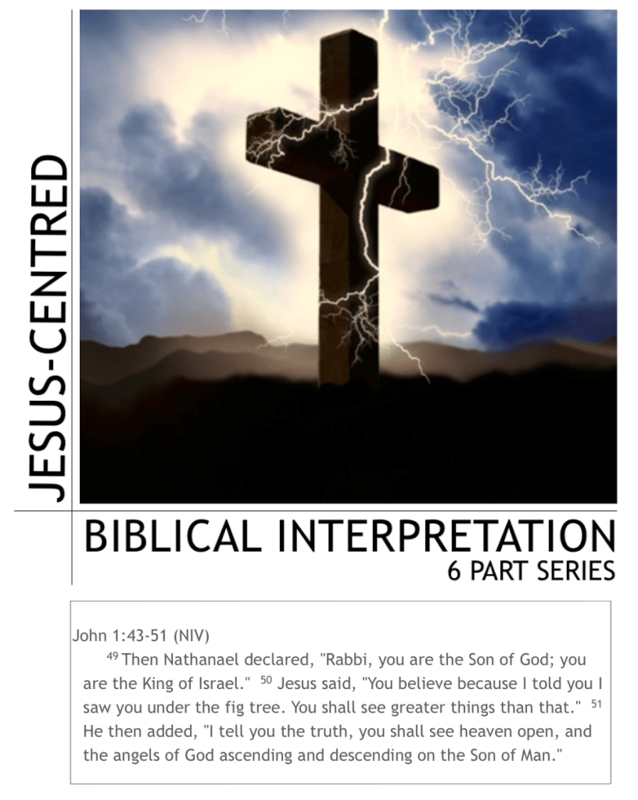 So far in this series of blog posts I have been demonstrating how a knowledge of the Old Testament helps us to appreciate the full depth of what Jesus said and did, and this is why I have titled this series ‘Jesus-centred biblical interpretation’. The simple model for a Jesus-centred hermeneutics is to start with what Jesus said and did, then go into the Old Testament to see why he said and did what he did, and then go into the balance of the New Testament to appreciate how to understand and apply what he said and did. In my next post I want to pick up on an application of the John 1 and Genesis 28 texts.